What it does do however is to highlight once again the existence and persistence of a cabal who are still determined to undermine the peace process. Despite his welcome release on bail on Tuesday Padraic Wilson’s arrest is a calculated strike at the leadership of Sinn Féin with the express intention of causing internal difficulties. His arrest raises very fundamental questions about the failure of the leadership of the PSNI to tackle those it knows in its ranks that are using the police and the prosecution service as a battleground to block further change to the PSNI and the justice system. His detention is further evidence that the PSNI’s Chief Constable Matt Baggott is ignoring the activities of this cabal of officers. 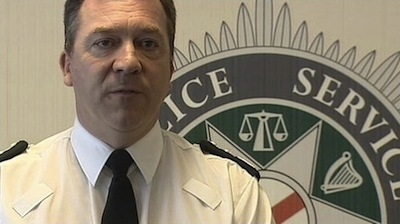 The question has to be asked has Matt Baggott lost his leadership of the PSNI? The McCartney family are of course entitled to pursue those they believe are responsible for their brother’s murder but by no stretch of the imagination can Padraic Wilson be implicated in any way whatsoever for this awful killing. In fact Mr Wilson was one of a number of republican leaders trying to help the McCartney family. So why he should be targeted in this manner is bizzarre. The treatment of Mr Wilson can only be understood in the context of the securocrats’ strategy of attacking the peace process. Of equal concern is the pursuit of Marian Price - a sick and bed-bound patient in a Belfast hospital. A magistrate in a Derry court dismissed charges against Ms Price yet the prosecution service reinstated the dropped charges. There is also growing concern that a miscarriage of justice has occurred in the case of Brendan McConville and John Paul Wootton sentenced to life imprisonment earlier this year for the killing of police officer Stephen Carroll. It is believed the conviction is unsafe. Last Monday’s large protest outside PSNI HQ calling for Padriag Wilson’s immediate release highlights two things - the high regard for Mr Wilson inside the republican movement and the widespread anger among republicans over the arrest and charging of him. It was no accident that a large number of republican leaders attended the protest. These were the people who led armed republicanism and when peace needed to be negotiated did that as well. They are the republican architects of the new post-conflict society which is serving well all the people of this island. But as can be seen from the defence of supergrasses; the treatment of Marian Price and now Padraic Wilson there are people whose actions would turn the clock back to the days of injustice. And republicans, like those on the streets this week, will not allow these tactics to go unchallenged. Padraic Wilson and his immediate and extended family endured much loss during the armed conflict. He displayed exemplary leadership over decades in prison and outside prison. His arrest is a warning signal that much vigilance is needed to prevent malign influences winning the day.